We have a powerful product/service concept of 'prescriptive solutions'. 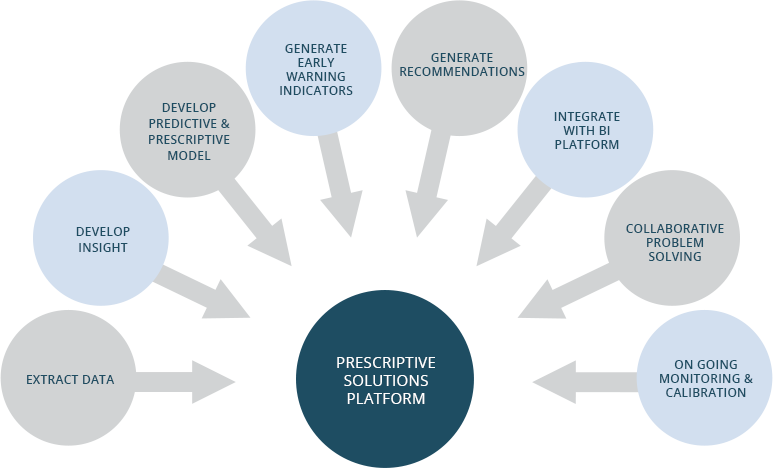 This is the integration of descriptive data and sophisticated analytical models leading to prescriptive analytics. Leveraging an algorithm-driven rules engine, the analytical platform generates just-in-time early warning indicators and actionable prescriptive solutions to business problems.